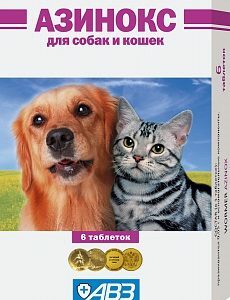 Medication for treatment of canine and feline sarcoptoidosis and demodicosis. Amitan is an insecto-acaricide preparation. 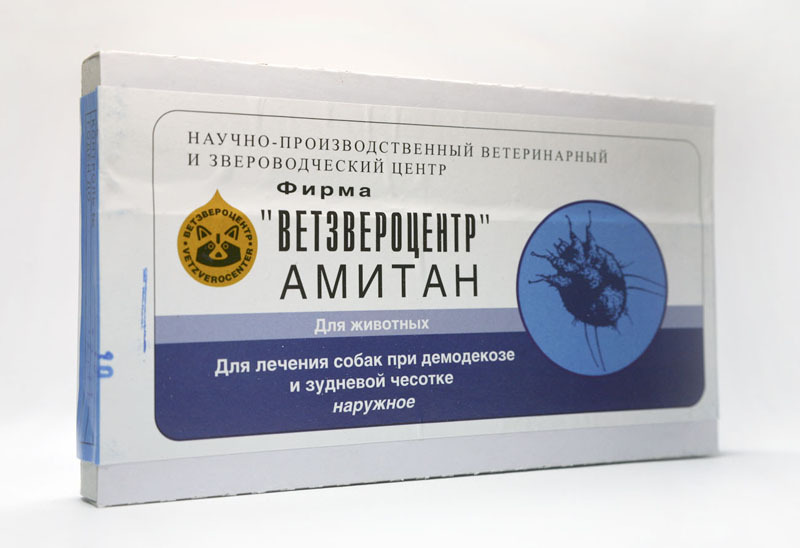 The amitraz, which is part of the preparation, has contact-intestinal insecticacaricidal action, is active against sarcopthoid mites – pathogens of otodectosis of fur-bearing animals, cat notethroz, sarcoptic disease, and also the causative agent of demodecosis of dogs. 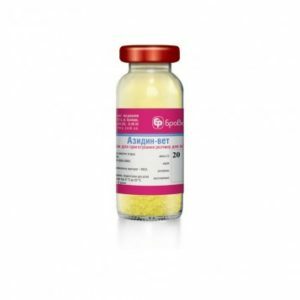 The product is indicated for the treatment of the following infections with susceptible strains: respiratory infections, gastrointestinal infections (eg colibacillosis), urogenital infections, infections and skin injuries, abscesses, Salmonella dublin infection in calves, mastitis and interdigital dermatitis in cows, in calves and pigs, erizipel and MMA in pigs. 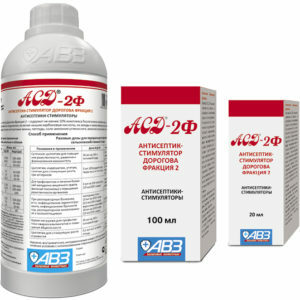 Antiseptic Dorogov’s stimulator 2 fraction (ASD-2F) is intended to treat and prevent diseases of gastrointestinal tract, respiratory and urogenital systems, skin affections and metabolic disorders in farm animals, poultry and carnivorous animals. 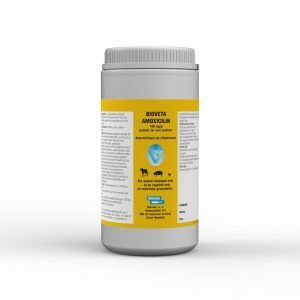 Antiseptic Dorogov’s stimulator 3 fraction (ASD-3F) is intended for treatment of infected sluggish wounds, dermatitis, chronic inflammatory affections of skin and hooves, trophic ulcers, fistulas, sheep foot rot and necrobacillosis. It is indicated for treatment and prevention of bloodparasitic diseases in cattle, camels, horses, sheep, goats, pigs, dogs and cats, namely: babesiosis andtrypanosomiasis (sous-aura of camels and horses). For treatment and prevention of canine nematodosis (toxocarosis, toxascaridosis, uncinariosis, ankylostomosis) and cestodiasis (teniasis, dipylidiasis, echinococcosis diphyllobothriasis, mesocestoidosis). For treatment and prevention of canine and feline echinococcosis, teniasis, dipylidiasis, diphyllobothriasis, mesocestoidosis. Praziquantel, which is a part of the preparation, has a wide spectrum of anthelmintic effect on all phases of development of the ribbon helminths parasitizing dogs and cats, causing paralysis and death of the helminth. 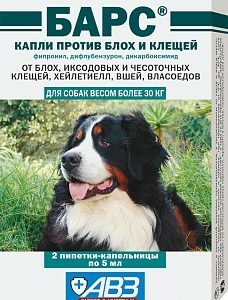 Use in dogs and cats above 8 weeks old for treatment and prevention of entomosis (ticks, fleas, lice), sarcoptic mange, notoedrosis, otoacariasis, сheiletiosis and ixodic ticks. Copyright © 2019 ZooFarmAgro Implementat de Artsintez Media SRL.